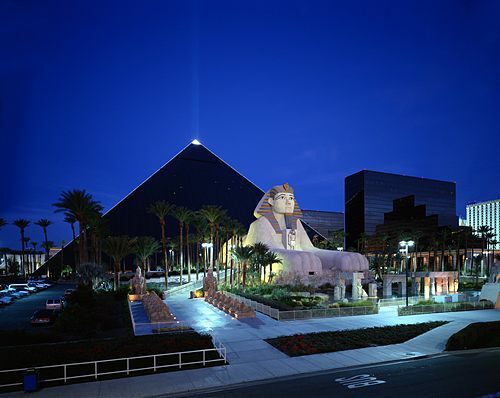 Luxor Hotel and Casino is located in Las Vegas’s The Strip neighborhood and close to Crystals at City Center, Sands Expo Convention Center, and Clark County Library. Nearby points of interest also include University of Nevada-Las Vegas and Las Vegas Convention Center. 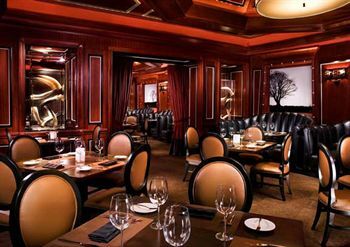 Dining options at Luxor Hotel and Casino include a restaurant and a coffee shop/café. A poolside bar and a bar/lounge are open for drinks. Room service is available 24 hours a day. Recreational amenities include a sauna and a fitness facility. Spa amenities include beauty services and a hair salon. This 3.5-star property has a business center and offers small meeting rooms and audio-visual equipment. Complimentary high-speed (wired) Internet access is available in public areas. 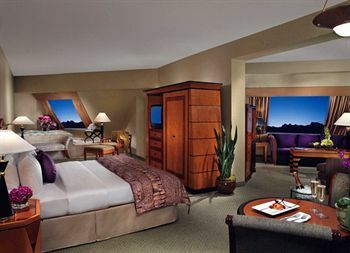 This Las Vegas property has event space consisting of banquet facilities, conference/meeting rooms, and exhibit space. Wedding services, concierge services, and tour/ticket assistance are available. Valet parking and self parking are complimentary. Additional property amenities include a casino, multilingual staff, and gift shops/newsstands.